A national child abuse investigation will turn its focus on events at a former Aberdeen children’s home from next week. 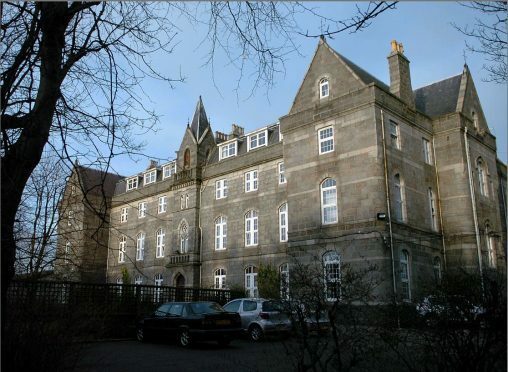 Former residents and other witnesses connected to Nazareth House, on the city’s Claremont Street, are expected to give evidence to the Scottish Child Abuse Inquiry. The facility was founded by six women from the Sisters of Nazareth in London in 1862 and it was once home to more than 300 children. But the home was dogged by allegations of historical abuse by the nuns for over two decades, with more than 40 complaints being made by former residents during a police investigation in 1997. One woman claimed she had been beaten so hard she lost her hearing, while a retired fisherman said he had been submerged in near boiling water by the sisters. Speaking in 2000, a former resident said: “You couldn’t answer them back and you were terrified to sleep at night in case you wet the bed. By 2010, councillors approved plans to turn the house into flats. The Scottish Child Abuse Inquiry was launched in October 2015 and is one of the most wide-ranging public inquiries ever held in Scotland, with full powers to compel witnesses to give evidence. Having completed hearings considering residential child care establishments run by the Daughters of Charity of St Vincent de Paul in late January, the inquiry will now look at establishments run by the Sisters of Nazareth in Aberdeen, Cardonald, Kilmarnock and Lasswade. From Tuesday next week, evidence will be heard from a number of former residents, as well as other witnesses. The hearings are expected to continue through May and June.